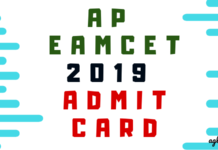 AP EAMCET 2019 Answer Key – AP Engineering, Agriculture and Medical Common Entrance Test (AP EAMCET) 2019 Answer Key will be releases online at the official website. JNTU will first release AP EAMCET Preliminary keys for both E & AM stream on April 23 & 24 respectively. JNTU, Kakinada uploads AP EAMCET Answer Key 2019 at sche.ap.gov.in along with the question paper for both the engineering and agriculture stream. 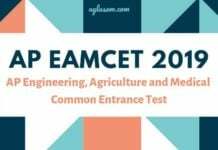 The AP EAMCET 2019 Exam is scheduled on April 20, 21, 22 and 23, 2019 for the engineering stream and April 23, 24 for the agriculture stream. The answer key contains all the correct answers to the questions asked in the exam. Thus, the candidates an use them before the publication of the result to get an estimated idea of their AP EAMCET 2019 scores. 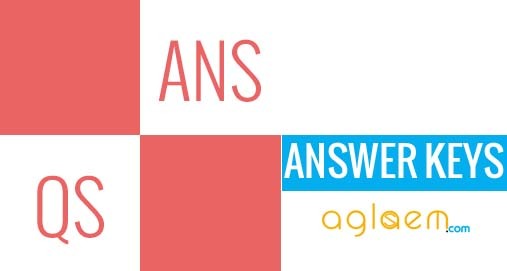 Check more details on AP EAMCET 2019 Answer Key from this page. The candidates have to have the following things with them to be able to use the answer key to calculate the estimated scores. Now check the title which says “AP EAMCET Answer Key 2019”. If the candidates are not satisfied with the answer key of AP EAMCET 2019, then they can challenge. In order to do so, the candidate will have to submit the objection in the prescribed format. The conducting body will consider all the objections and if it stands valid then the required changes will be made in the answer key of AP EAMCET 2019. The final answer key will be updated with the valid objections and on the basis of the result will be announced. Fees For Objection: There shall be an extra charge to raise objection against the answer key. The objection fee will be updated here as and when the details are announced. The final answer key is the amended answer key as per the challenges that the candidates make on the provisional answer key. The Final Key will be uploaded on the official website of the council. This answer key is not challengeable, thus candidates are requested not to make any such attempt. Candidates must note that the scores that you get using the answer key are the estimated ones. AP EAMCET result is based on the weightage of 75% marks in EAMCET and 25% weightage of the 10+2 scores. The candidates need to submit their 10+2 scores for the calculation of their result. Those who do not submit their scores are ineligible for the admission process. 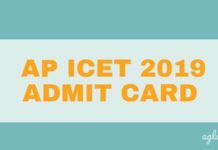 Check here, how the weightage is used to prepare the AP EAMCET 2019 Result.